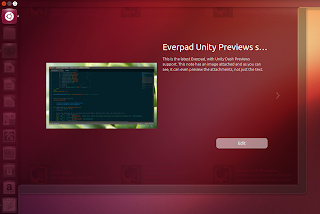 Everpad, an application that integrates the popular note taking service `Evernote` with Unity through an AppIndicator and Unity lens, was updated recently, the new version bringing a cool new feature for Ubuntu 12.10 users: support for Unity Previews, being one of the first unofficial lenses which takes advantage of this new feature. 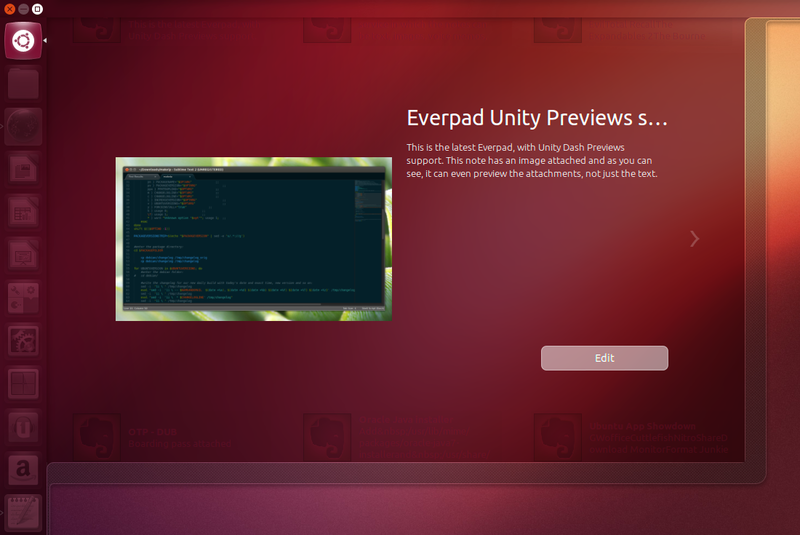 The Unity Previews feature for Everpad isn't limited to text - if you've attached an image to your note, the Everpad lens displays an image preview too. There's also an "Edit" button which opens the Everpad note editor, but hopefully, Unity will support basic editing inside the lens in the future, so applications such as Everpad can work entirely inside the lens, without the need of external UIs.